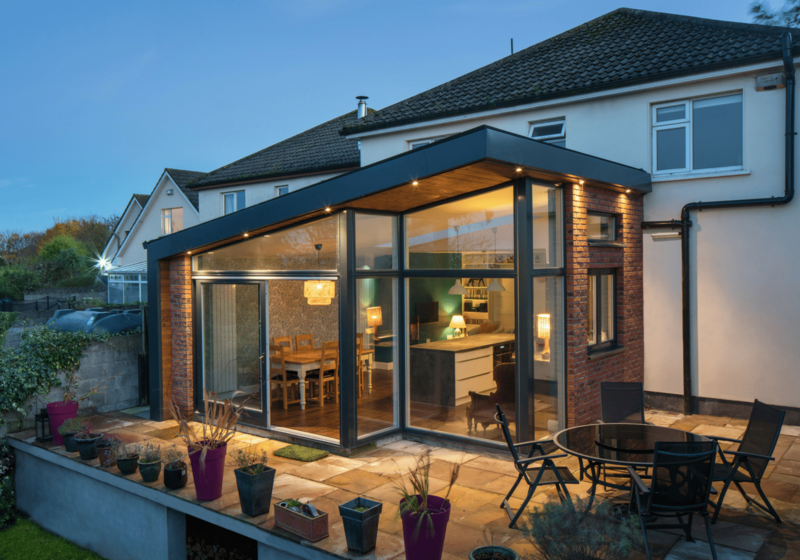 Shomera are the Number 1 provider of House Extensions and Garden Rooms in Ireland and predominantly serve the greater Dublin area including Wicklow, Meath and Kildare. Not much had been done to this semi-detached house with flat roof garage to side since it was built many decades ago. 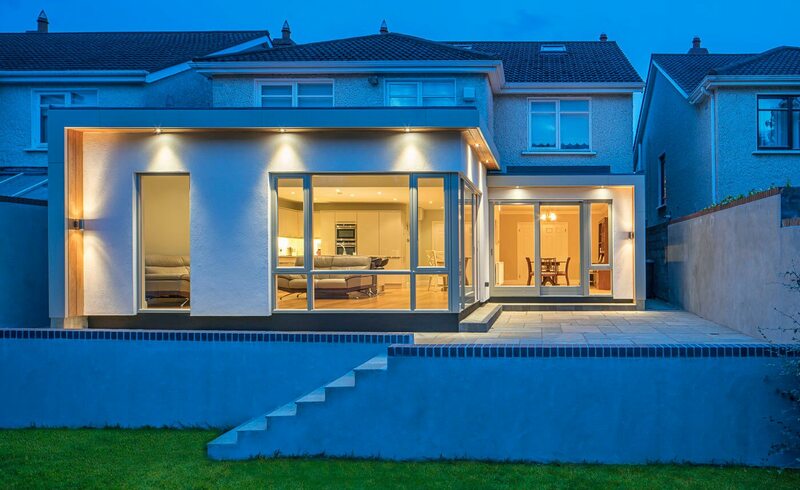 With a background in interior design the new owners and their young family could see the potential of this home located near the Dodder River. 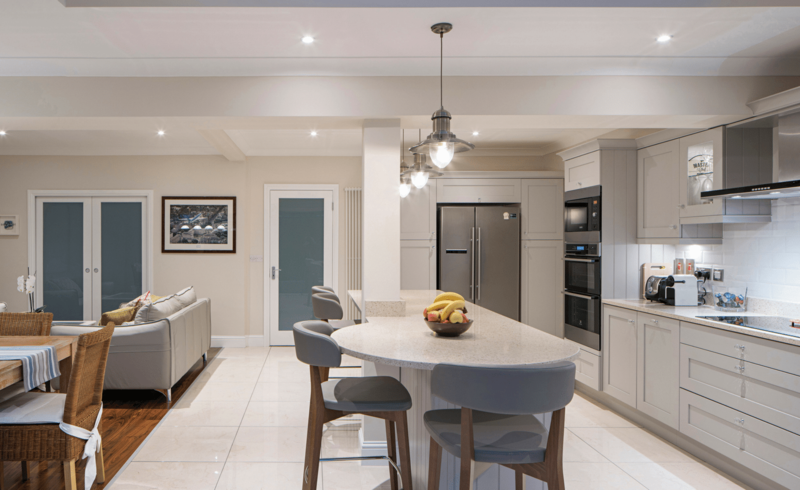 Open-plan living is on most people’s list when it comes to renovating and extending their homes; with good reason. 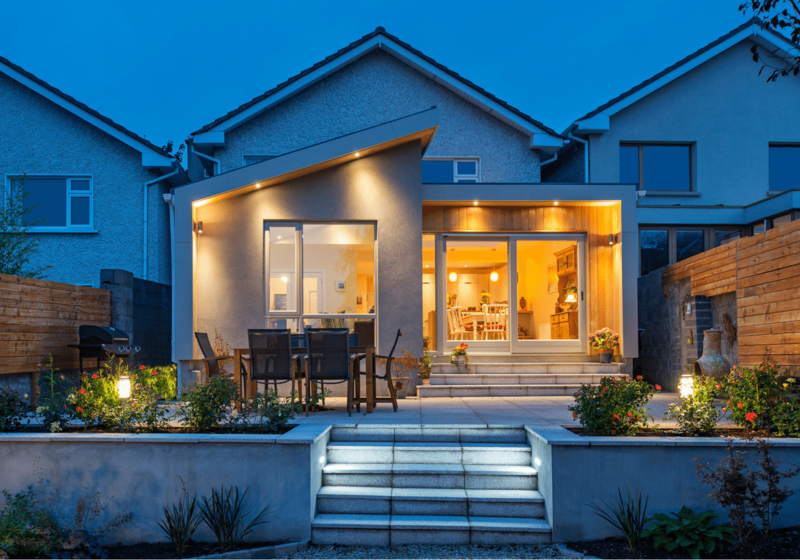 In previous generations, sources of heat and poor insulation meant the idea of a large open room with large expanses of glass wasn’t an option.